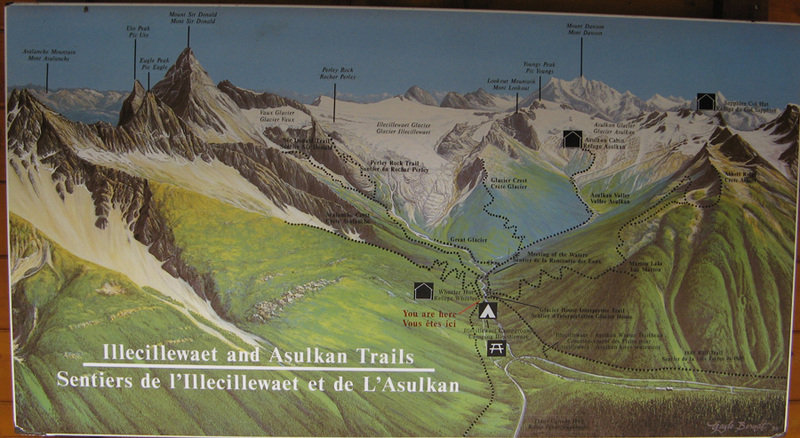 View of the Illecillewaet and Asulkan Glaciers from the Rogers Pass Visitors Center. Summer Hiking Map of the area. Historical site of the Glacier House. Checking out the historical displays of the area. Hwy1, Rogers Pass Visitors Center, and the other peaks can be clearly seen in the distance! The clouds were just starting to rise at this time. 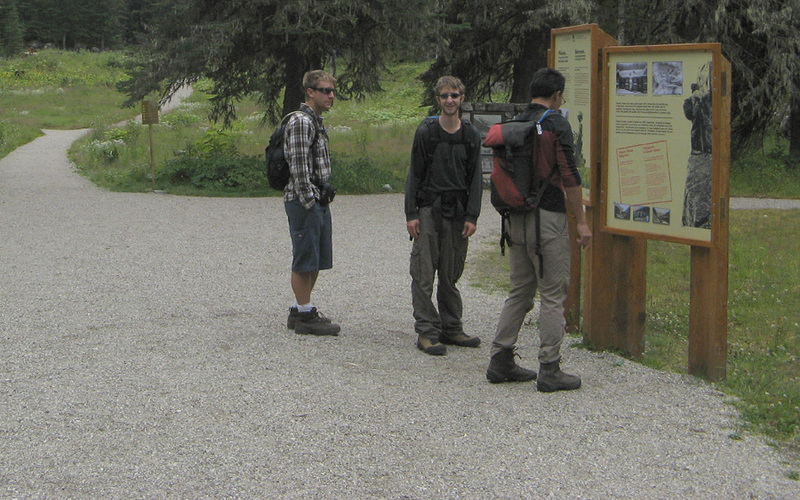 Taking a breather at ~1800meters heading out of the trees into the alpine! 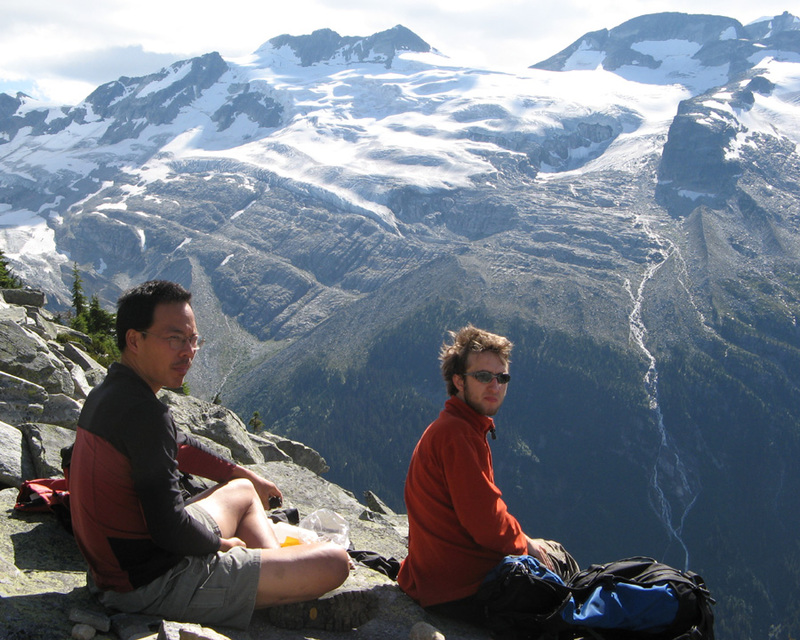 Lunch with the views of the Asulkan Glacier in the back. Great Glacier, now known as the Illecillewaet Glacier. It was the main attraction when the Glacier House was built following the completion of the railway in 1886. 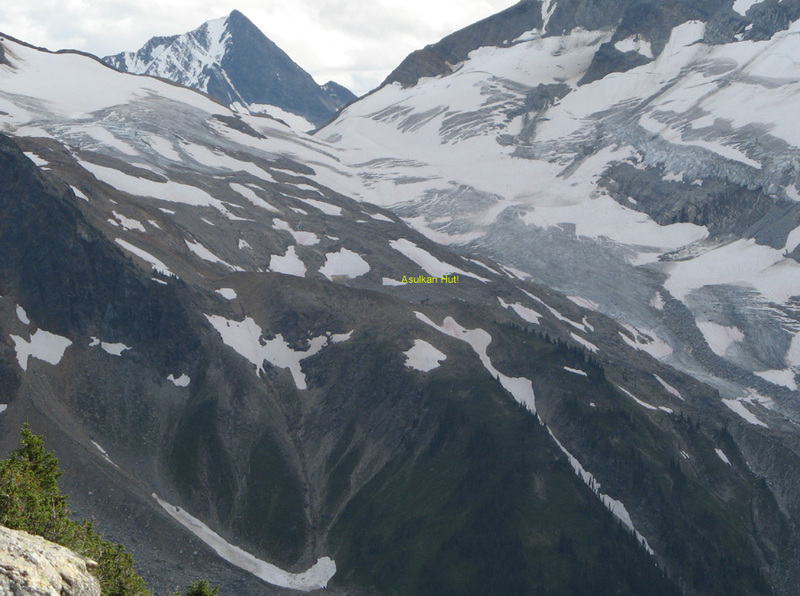 This was a popular destination for mountaineers from 1886 until 1925 when the Glacier House was torn down. 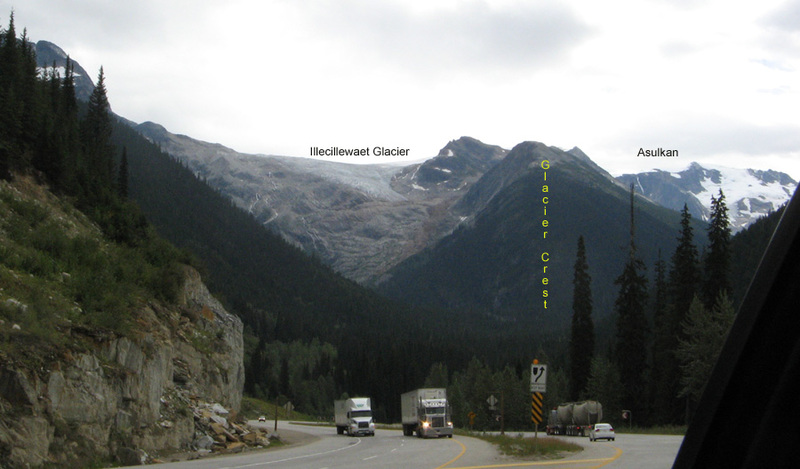 This area was pretty much inaccessible until the Rogers Pass section of the Trans Canada highway was built in 1962. How’s that for the Christmas Card Shot! Looking back towards the West we can see the Asulkan Hut in the distance. From the top of Glacier Crest we can see the Asulkan Hut! 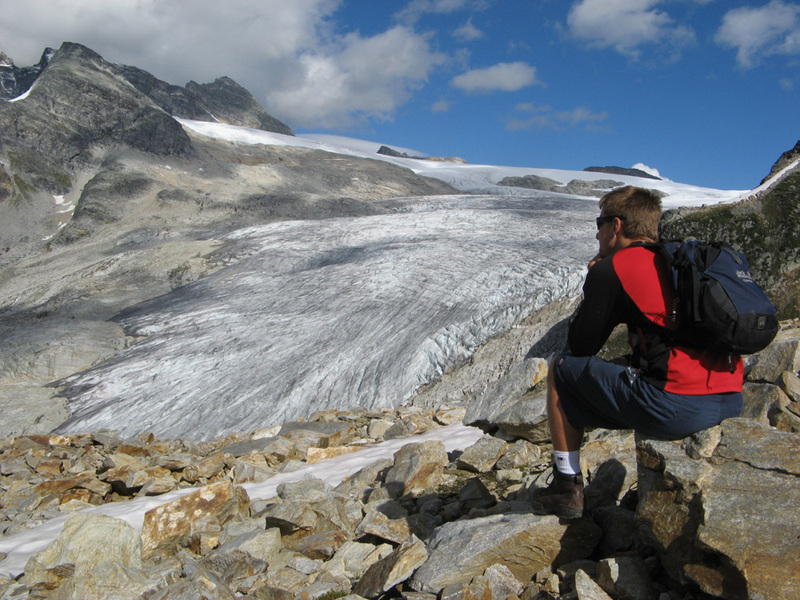 After 2 hours of climbing, 1 hour and 40 minutes of hanging around, listening to the Trumpet playing on the Great Glacier while discussing hiking down to the Great Glacier we turned around and took one hour to hike back down the Glacier Crest trail. 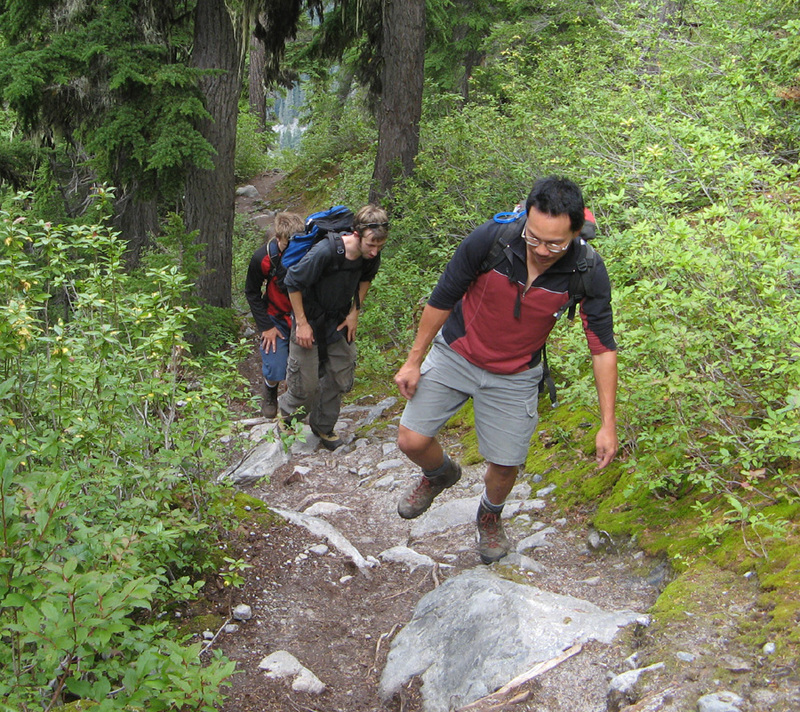 This entry was posted in 2007, bike, hike and tagged glacier crest, kootenay, martha creek, revelstoke, revelstokebike, Salmon Arm. Bookmark the permalink. 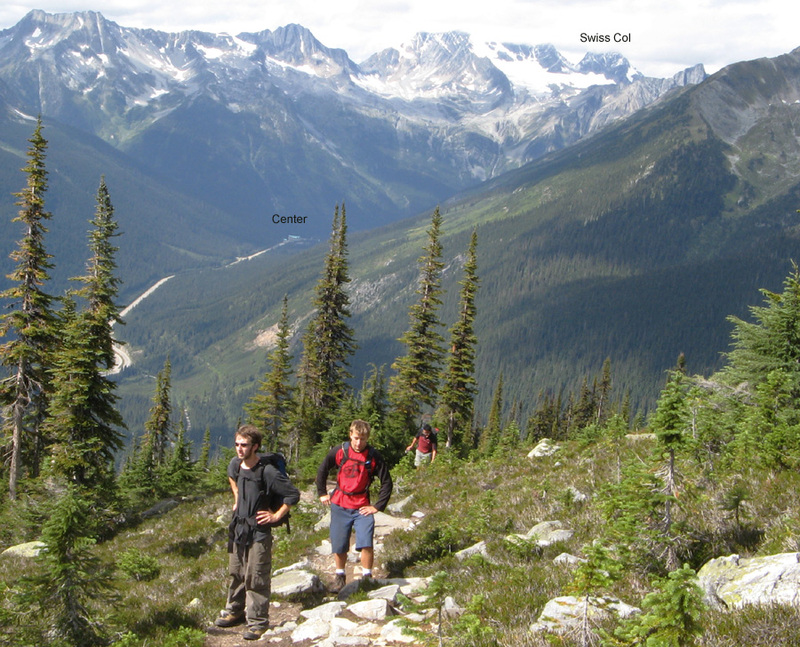 One Response to BC Road Trip – Day 5 – Revelstoke – Glacier Crest HIKE!